Our goal is to help girls grow up to be caring, competent, confident women. St. Veronica Girl Scout Program meets the developmental, educational and social needs and interests of girls from Kindergarten through grade 8. Girls grow and learn through experiences that involve making decisions and discoveries for themselves. The program is carried out through ways of work that support the aim of helping each girl develop to her fullest potential through group experience. In Girl Scouting, a key ingredient for each girls development is the process in which girls and adults in partnership plan and carry out the Girl Scout program. 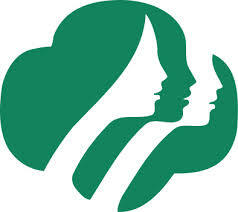 The Girl Scout Program is open to all girls of the Parish. For additional information, please contact: Carolyn Hinds (513) 253-9833. 4473 Mount Carmel Tobasco Rd.